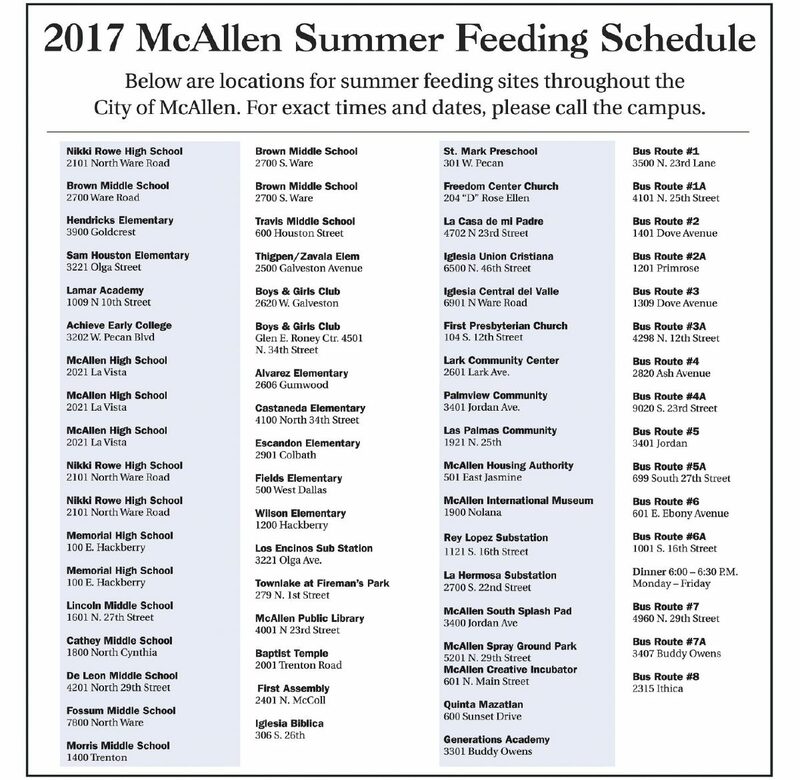 We applaud the partnership between the McAllen Independent School District and the City of McAllen to once again provide free meals for any child under 18 during the summer months, with bus deliveries and campus meals offered starting today. The grim reality is that we know many children in our midst often go to bed hungry and, frequently, their best meal of the day comes courtesy of their local school. But this can be problematic during the summer months when children are out of school for summer vacation. So the notion of having a program such as the one put in place by the McAllen school district is vital. We are heartened that this profound understanding of our children and the best way to educate them extends beyond the school district to the city. For its part, the City of McAllen is providing venues and even certain bus routes to help the school district reach out to children who they know have a need for this service. 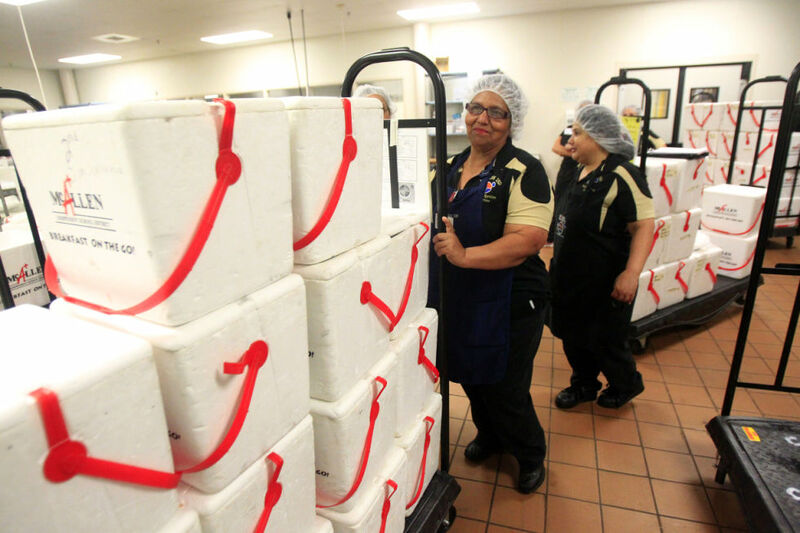 Last year alone, the school district provided more than 200,000 meals for the summer. The beauty of this program is that parents and community members can be assured that the food being distributed to these children will be nutritious and healthy alternatives to sugary or fat-laden foods that children might have access to without the program. The program will distribute the meals at 63 different locations, which are listed on this page. The cost of providing these meals — everything from breakfast to lunch to snacks to dinner — is being borne by the Texas Department of Agriculture Food and Nutrition Program. Perhaps the most appreciated component of this service is that it will be made available to any child under the age of 18; no documentation of registration is required. So we encourage parents to look at the accompanying list to see a location that would be convenient to your child — or pass this list on to friends or relatives who have children that may benefit. Once you’ve identified a suitable location, call the district’s Food Nutrition Program at (956) 632-3226 to find out times and dates these locations will be serving meals or simply visit the school district’s website at mcallenisd.org or the city’s website at mcallen.net. You can also dial a state hotline number (2-1-1) to get locations near you. Or, send a text. Type the word “Foodtx” and send to 877-877.